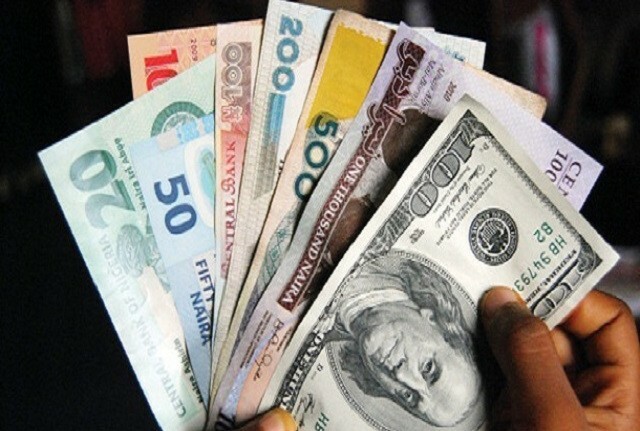 The naira plunged by 31 per cent to 288.85 against the United States dollar on Monday at the close of trading at the newly established interbank market. The local currency also depreciated at the parallel market where it closed at 346 to the greenback, down from around 330 and 335 on Friday. The Central Bank of Nigeria had last week introduced new guidelines for the nation’s foreign exchange market with the adoption of a single structure through the interbank/autonomous window. The naira, which was pegged at 197-199 per dollar before the emergence of the new forex policy, closed at 288.85 to the dollar on Monday, with the forces of demand and supply coming to play to determine the value of the nation’s currency after the CBN allowed it to float freely. The CBN said it cleared a total foreign exchange demand backlog of $4bn with a dollar exchanging for N280 at the foreign exchange market. The apex bank, in a statement issued on Monday by the Acting Director, Corporate Communications Department, Mr. Isaac Okoroafor, expressed satisfaction with the performance of the market on its first day. The statement reads in part, “Nigeria’s new foreign exchange market made a robust take-off on Monday, June 20, 2016, clearing all the backlog of $4bn pent-up demand for foreign exchange, with the naira exchanging at 280 to the United States dollar. “The objectives of the CBN to clear the forex demand backlog, perform its role as strictly a market intervention participant, and re-launch a functioning and efficient interbank market were met. “The CBN, in line with its desire to promote a transparent, liquid and efficient market, and in order to engender market confidence and ensure credible price formation, intervened in the market through a special secondary market intervention sales addressing the issue of the FX demand backlog by clearing $4.02bn through spot and forward sales. Okoroafor assured market participants and the general public that the bank was committed to making the FX market globally competitive, credible, transparent, liquid and efficient.